Most Rev. Robert Deeley, J.C.D. Follow Bishop Deeley on Twitter! Born in Cambridge, Massachusetts, Bishop Robert P. Deeley, J.C.D., grew up in Belmont, Massachusetts, as the fourth in a family of five sons. His parents, Michael and Mary, now deceased, were born in County Galway, Ireland. His family belonged to Sacred Heart Parish in Watertown, MA, and Bishop Deeley attended Matignon High School in North Cambridge. Following high school, he entered Cardinal O’Connell Minor Seminary in Jamaica Plain to discern a vocation to the priesthood. After two years of college, he received a Theodore Basselin Foundation Scholarship and began philosophy studies at The Catholic University of America in Washington, D.C., from which he graduated in 1968. In 1972, he earned a degree in Theology (S.T.B.) from the Pontifical Gregorian University in Rome. Following a year of continuing studies in theology, he returned to Boston and was ordained to the priesthood on July 14, 1973, at his home parish, Sacred Heart in Watertown. His first local assignment was as associate pastor at St. Bartholomew parish in Needham. In 1978, with his appointment as Secretary to the Metropolitan Tribunal of the Archdiocese of Boston, Bishop Deeley began a ministry in the Tribunal which would last for over twenty years, the last ten of which he served as Judicial Vicar (1989-1999). Throughout that period, apart from his years of graduate study in Rome in Canon Law, he lived at Mary Immaculate of Lourdes Parish in Newton and St. Brigid Parish in Lexington where he was able to provide priestly presence and assistance. He was named a Prelate of Honor (Monsignor) on December 13, 1995. Bishop Deeley was named pastor of St. Ann Parish in the Wollaston section of Quincy in 1999. He assumed the presidency of the Canon Law Society of America in 2000. He went to Rome in September 2004 to assist as an Official at the Congregation for the Doctrine of the Faith. Then, he served at the Congregation until being named Vicar General and Moderator of the Curia of the Archdiocese of Boston in the summer of 2011. 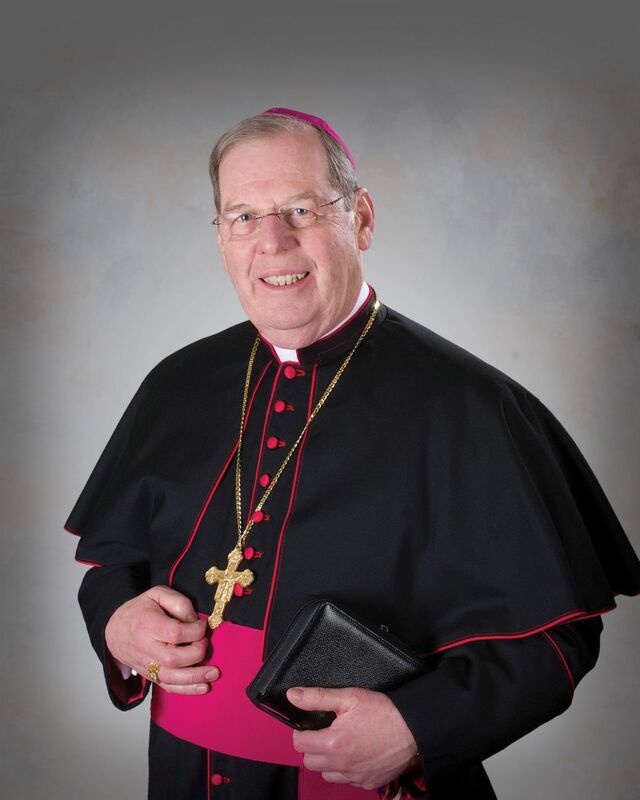 On January 4, 2013, he was ordained Auxiliary Bishop of Boston by Cardinal Seán O’Malley. On December 18, 2013, Pope Francis appointed Bishop Deeley the 12th Bishop of the Diocese of Portland, Maine. Bishop Deeley was installed as bishop on February 14, 2014, at the Cathedral of the Immaculate Conception in Portland. Bishop Deeley was named the recipient of the “Role of Law Award,” the Canon Law Society of America’s most prestigious honor, on October 12, 2016. The “Role of Law Award” is given to an individual who has distinguished himself in the practice of canon law, serving God’s people through the use of this law of the Church. Bishop Deeley is being honored for his long record of dedication to the law of the Church in teaching, practice, administration, and pastoral assistance. The United States Conference of Catholic Bishops (USCCB) elected Bishop Deeley as the new chairman-elect of the USCCB’s Committee on Canonical Affairs and Church Governance. The election was held as part of the USCCB Fall General Assembly on November 15, 2016, in Baltimore, Maryland. Bishop Deeley served one year as chairman-elect before beginning a three-year term at the conclusion of the 2017 USCCB Fall General Assembly. "Canon Law: Introduction and Application,"
"Marriage: Theological, Canonical and Pastoral Perspectives"